Hi! I found this great product at Econo-Lab Inc., I thought you might be interested in it. Check it out! Similar to the T332 Series but without the “tethered cap” feature. 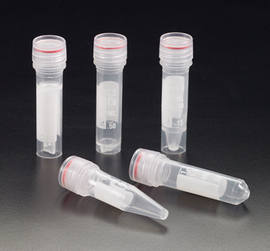 This series of tubes is available either plain or with printed graduations and white marking area for sample identification. The caps do not have the attachment loops for users who prefer to remove the caps completely from the tubes when filling or sampling. 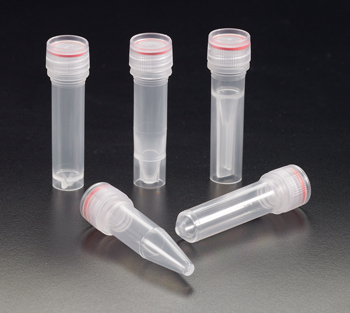 These microcentrifuge tubes have all the other fine features stated in the general description. Perfect for cryogenic work. Non skirted tubes can be centrifuged up to 20,000g. Will withstand temperatures from -196 °C to +121 °C. Tubes and caps in the microtube family are certified RNase, DNase, DNA and Pyrogen free.